The Chief Fire Officers Association has renewed its call for sprinklers to be fitted in high-risk buildings, after a serious fire at an Immigration Removal Centre in Oxford. Ten fire engines attended the fire at the Kidlington Centre which saw one casualty rescued by fire crews and 180 people evacuated from the accommodation block. There was also substantial damage to the roof and second floor of the building which did not have sprinklers fitted, despite an earlier incident at the same accommodation block, during which Oxfordshire FRS had strongly recommended their installation. "There is a precedent for sprinklers to be fitted in immigration centres – as they were in Yarlswood, Bedfordshire, and Harmsworth in London – following serious fires at those facilities. We would call upon the Home Office to install sprinkler systems in all similar properties, which are proven to save lives and reduce injuries, protect firefighters, and reduce the amount of damage to both property and the environment." 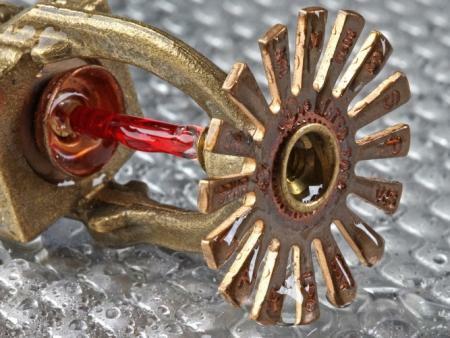 By contrast, moves towards greater sprinkler legislation have taken place in Wales with plans to install fire sprinklers in all new-build homes in the principality adopted as law today [29 Oct]. Vale of Clwyd AM Ann Jones, who had worked for the fire service for 30 years, has had her Private Member’s Bill calling for fire sprinklers in all new-build homes in Wales signed into law by the Welsh Government. The Domestic Fire Safety (Wales) Measure 2011 will make fire sprinklers compulsory in all new and converted hostels, care homes and other high risk properties from April 2014. Sprinklers will now be fitted as standard in all new and converted homes by January 2016. Mrs Jones said the passage of the regulations marks the end of a legislative journey started in 2007 and is the first piece of backbench legislation to be successfully passed by the Assembly at both Legislative Competence Order LCO and Measure stages. She added: "After a long career in the Fire Service where I saw too many families’ lives devastated, I knew that sprinklers would provide the lasting solution. No-one has ever died in a fully fire sprinkler protected home and the law I passed, will go a long way to reducing the impact that fire has communities. I am thrilled we have managed to reach the end of such a long and tiring legislative journey. I have been fighting since 2007 to see my law implemented. "I have encountered opposition from a number of people, but time and time again – we have proven that their arguments were just plain wrong. Sprinklers are cost effective and their impact will be proven in the long run."